There's no question consumers are clamoring for quick-service options. However, different styles can carry different insurance concerns. A flurry of news reports and research show one thing: casual dining is on the decline. Some have attributed this to millennials, who researchers say prefer fast-casual or home-made meals over pricey and time-consuming casual dining. Regardless of the reason, quick-service restaurants are increasingly appealing to a larger number of Americans. However, getting a quick-service operation off the ground and growing it is not as fast an endeavor as making a delicious Bahn-mi. Importantly, there are also significant insurance considerations both before the restaurant starts serving customers and during operation. Quick-service restaurants follow a few distinct styles. Food trucks are growing in popularity and variety, while fast-casual dining, such as Chipotle, or fast-food staples like McDonald’s are still popular. These different styles can carry different insurance concerns, even before the first customer passes through the door. For example, a food truck operation will need to purchase a Commercial Auto insurance policy before serving any food. It’s important for these businesses to carry that policy instead of trying to rely on a personal auto insurance policy, as personal auto insurance does not cover the same kinds of incidents. In truth, a vehicle accident in a food truck is unlikely to be covered by a personal vehicle insurance policy. Meanwhile, the Commercial Auto policy can mitigate the risks associated with property damage both done to the truck and damage the truck may cause to the property of others. Additionally, such a policy will cover the risk of bodily injury associated with operation of the vehicle. If a restaurant plans to offer in-house delivery services instead of partnering with a delivery company like GrubHub, covering the risks related to those vehicles will be a distinct consideration. Commercial Auto is a possibility here, but so too is Hired & Non-Owned Vehicle Liability Insurance. Non-Owned Insurance is specifically designed for employers who have workers driving their personal vehicles for company work. It will cover the employee’s vehicle when it’s being used for work purposes, but not outside of those times, so the employee will still need their personal auto insurance policy. A quick-service restaurant relies on employees who can handle a fast-paced environment. But that kind of talent doesn’t happen overnight. Most restaurants, and especially quick-service restaurants, hire and train employees for several weeks before opening the doors to customers. As soon as the restaurant passes a certain number of employees, there are insurance considerations. Workers compensation, for example, may be needed early on during the training phase. Restaurant work is not without its dangers. Fires are common, as are injuries associated with hot food and sharp knives. Alongside this, Workers compensation may not just be a good idea, but required by law. Most states have set relatively low minimums for the number of individuals employed before workers compensation is required. Quite often, 5—10 employees are enough to trigger this legal requirement. Unless the business format is just two people and a food truck, there’s a good chance some individuals are already working and training before the first customers come through. Also, consider the risks associated with third-party claims. Many quick-service restaurants do a fair amount of pre-opening events to get the word out. Those events can come at a risk of third-party claims, such as food poisoning or personal injuries from slip and fall. Should a customer come into the restaurant and slip on a wet spot on the floor, an injury claim is certainly possible. Restaurants work with fairly small profit margins. A new restaurant, in particular, is at risk of closing should a hefty third-party claim come through before any real profit is made. Third-party claims are effectively mitigated through General Liability insurance, which also covers medical expenses incurred after a successful bodily injury claim is made against the business. 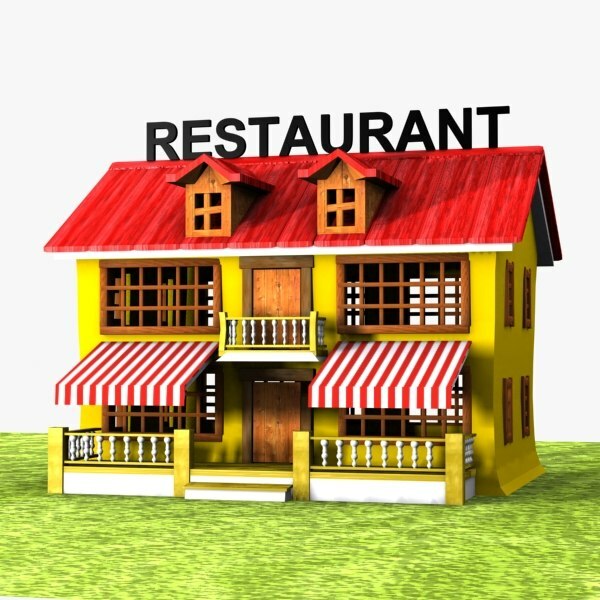 For all restaurants, the physical assets need protecting as well. According to the U.S. Fire Administration, restaurant fires are not only common but also very damaging and costly. Cooking accidents cause more than 60 percent of such fires. Pre-opening staff training means a lot of cooking practice, which itself comes at the risk of fires, especially for new employees who may be less skilled behind the grill. It’s important to mitigate the possibility of property damage and loss even before the restaurant opens, especially given the fact that fires can cause hundreds of thousands of dollars in damage. Reopening after a fire can be difficult, and many restaurants never do following such an event. Quick-service restaurants may be supplanting traditional, casual dining, but they aren’t any less risky. Covering those risks before the restaurant opens can help new owners avoid some of the common pitfalls to owning and operating a restaurant.